2016년을 맞이하며 에스쁘아에서 선보인 새해 첫 컬렉션은 예측 불가능한 체스 게임의 매력을 담은 ‘체스 피스(Chess & Peace)’입니다. 치열한 게임(Chess)과 대비되는 평화(Peace)와 같이 반전에 반전을 거듭하는 버라이어티함을 표현한 이번 컬렉션은 체스 말 모티브의 정교한 디테일을 더해 그 소장가치를 높였습니다. 체스 피스 컬렉션은 에스쁘아 다운 모던함이 돋보이는 컬렉션입니다. 1차적으로 보이는 단상자나 용기 표면에서는 최대한 블랙&화이트를 유지하되 2차적으로 보이는 내용물(섀도우 타정)이나 용기 안쪽(립스틱 보호관)에는 상징적인 체스판 무늬와 체스 말 모티브를 더해 제품 하나하나의 유니크함을 살렸습니다. 흑백의 대비에 절제된 골드 포인트로 모던함을 강조한 패키지는 강렬한 색감의 내용물을 한층 더 돋보이게 합니다. 무엇보다 체스 피스 디자인의 가장 큰 차별화 포인트는 제품을 꺼낼 때 단상자의 타공을 통해 안쪽 그래픽이 교차해서 보이며 체스 게임에서와 같은 역동감을 느낄 수 있도록 한 것입니다. 미니멀한 첫인상과 대비되는 이 경험적인 요소는 ‘반전’이라는 키워드를 한 단계 고차원적으로 표현한 이번 컬렉션의 히든카드라고 할 수 있습니다. 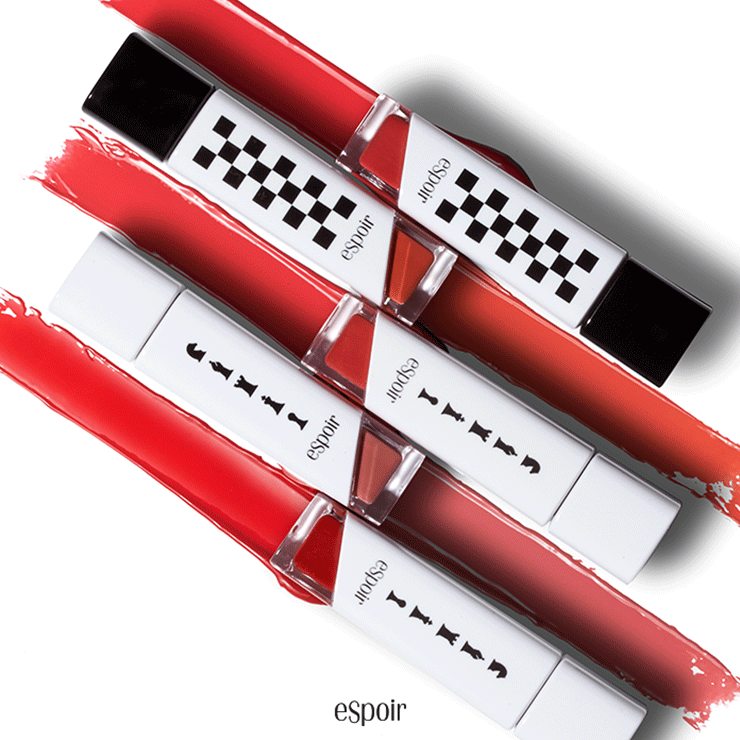 Espoir’s first New Year collection for 2016 is “Chess & Peace,” which holds the unpredictable appeal of chess games. This collection, which expressed the variety that repeats reversals such as the display of peace that contrasts with the fierce game, raised its value of possession by adding the exquisite motifs of chess pieces. 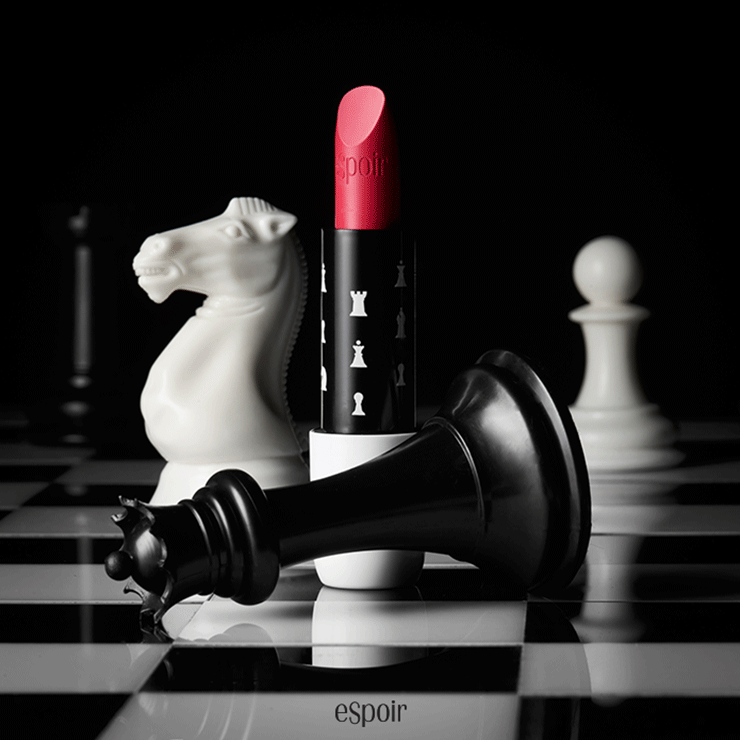 The Chess & Peace collection is an Espoir collection that stands out with modernity. 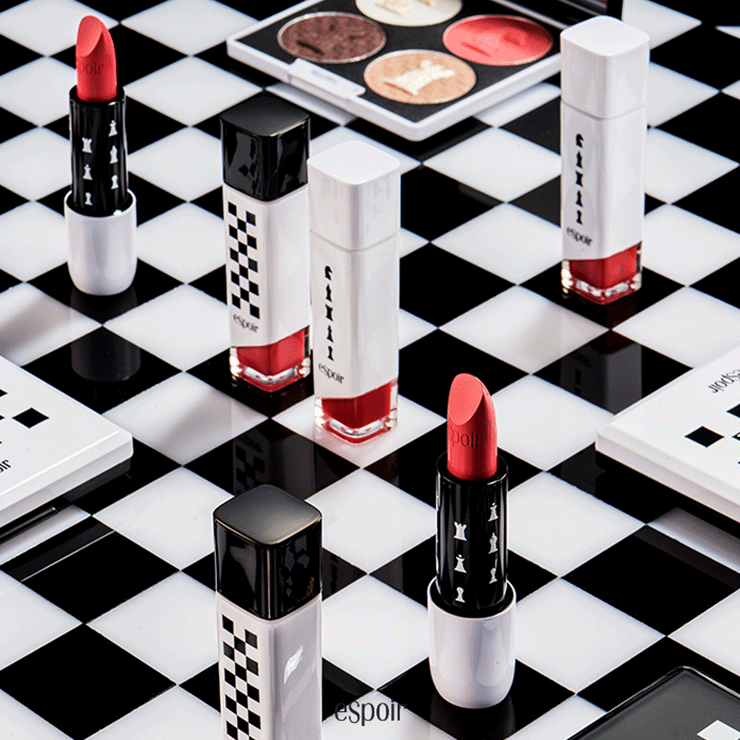 In the box or the surface of the container that is the first to be seen, black and white colors were maintained, whereas in the contents (eye shadow) or the interior of the container as the second one to be seen, uniqueness was embossed by adding symbolic chessboard patterns and chess piece motifs. The package that contrasted black and white colors with subtle gold points additionally emphasizes the strong colors of the contents.